In just a few days, schools all across the country will open their doors for the start of a new school year…and with that, comes the ever present threat of yet one more unthinkable event! So…is school security an oxymoron? We don’t think so…but we do think those responsible for school safety may be focusing on the wrong strategies. After every school shooting we see ongoing debates about gun control, or mental health…and now, arming teachers. We don’t believe these are very good solutions…and we certainly don’t support arming teachers! So what should we be thinking about when it comes to school security? We believe schools need to take a more holistic approach to solving this challenge. For starters…security has to be part of the cultural fabric of any school system…and changing culture takes time. We’re still in the relatively infantile stages of understanding and addressing this issue. School systems need to continuously work at making security a part of their culture, by actively engaging in activities that include…on-going discussions with teachers, students, parents, private security, counselors and law enforcement or SRO’s…posting articles and reminders about school safety…taking part in, or supporting local safety-related events, and rewarding those with creative ideas regarding how best to secure a school. We have to keep in mind too…that these meetings and discussions can’t be one-time events. Schools are now required to conduct drills within two weeks of opening day…but safety can’t begin and end with one drill. 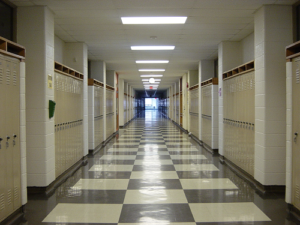 How to develop a plan for school security? In sales, a person has to see your name at least seven times before they think of working with you…this same concept should be applied to securing our schools. We would also do well to engage in some reverse-order-planning…using in depth analysis of past events to determine where our weaknesses lie…and where we need to improve. There is also the issue of target hardening…making schools a less attractive target for shooters by conducting on-going assessments and weighing results against current best-practice. For example… are camera systems set up to optimize area coverage…or to focus on facial recognition? The difference is significant! What questions should be asking? 1. Are we applying these concepts across all school systems? 2. Are we applying these concepts on an ongoing basis…or does fatigue play a role in causing us to become lethargic? 3. Are we constantly striving to learn from past mistakes? If the answer to any one of those questions is no…we are probably doomed to repeating our mistakes of the past. This is one important area where the past must be prologue! The above having been said, at RMA we think there’s another very important factor that gets overlooked all too often…the human factor. We mentioned culture before from a general perspective, but let’s look at it from a different point of view…are schools working hard enough at creating a culture of trust, where students feel comfortable reporting unusual behavior? Our students are in the best position to know…or perhaps sense when something doesn’t feel right. We have to make sure those instincts get reported and acted upon in a confidential fashion. We see the issue of student trust as being a critical piece in solving this problem. Constitution…but are we too focused on protecting the right of the individual versus the rights of the many? Is there common ground to be At RMA, we understand the rights guaranteed by our found on this issue? What perceptions hinder our progress in creating a safe environment? Lastly, have we become so desensitized to this issue that we are sub-consciously willing to accept a certain amount of loss…much like an accepted level of loss in the retail industry? Can…and do we answer that question honestly? We have to forever guard against allowing the loss of students to become an accepted practice. These issues are based in deep-seeded human behavioral concepts that are neither easy to identify, nor correct. It’s very encouraging to see the students of today taking this issue so seriously…but they need our support. • How does your culture measure up when it comes to making security a priority…or accepting loss? • What can you do to encourage students to come forward with even the slightest concern? • When is the last time you engaged in a full assessment of your preventive strategies? Thank you for joining us…and check out our podcast, where we continue our discussion on school safety!